The adidas NMD family seems to expand with each passing week or month. 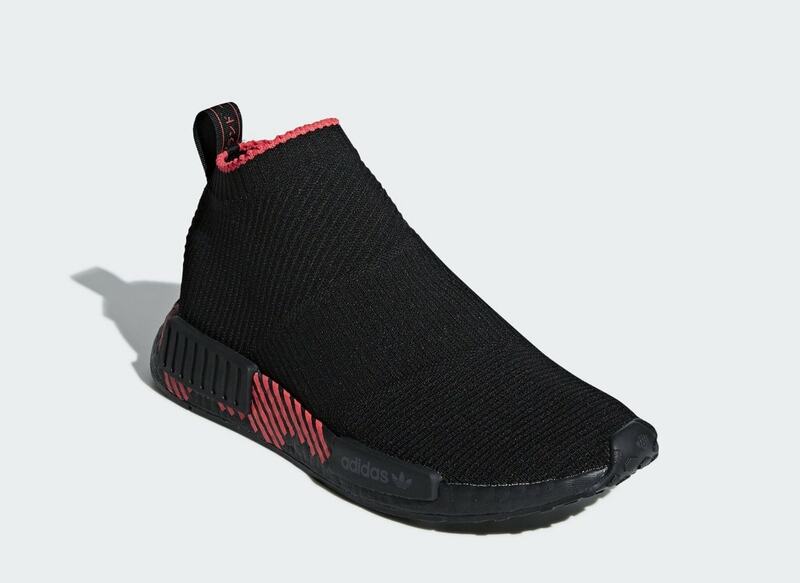 With the January drop just around the corner, we have a fresh look at another upcoming release, featuring a dark new NMD_CS1 with a vibrant twist. The adidas NMD_CS1 is a fan favorite of the Nomad franchise. 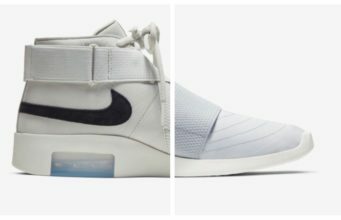 First released in 2016, the sleek laceless shoe made waves due to its comfort and stylish looks, selling out everywhere with each new release. 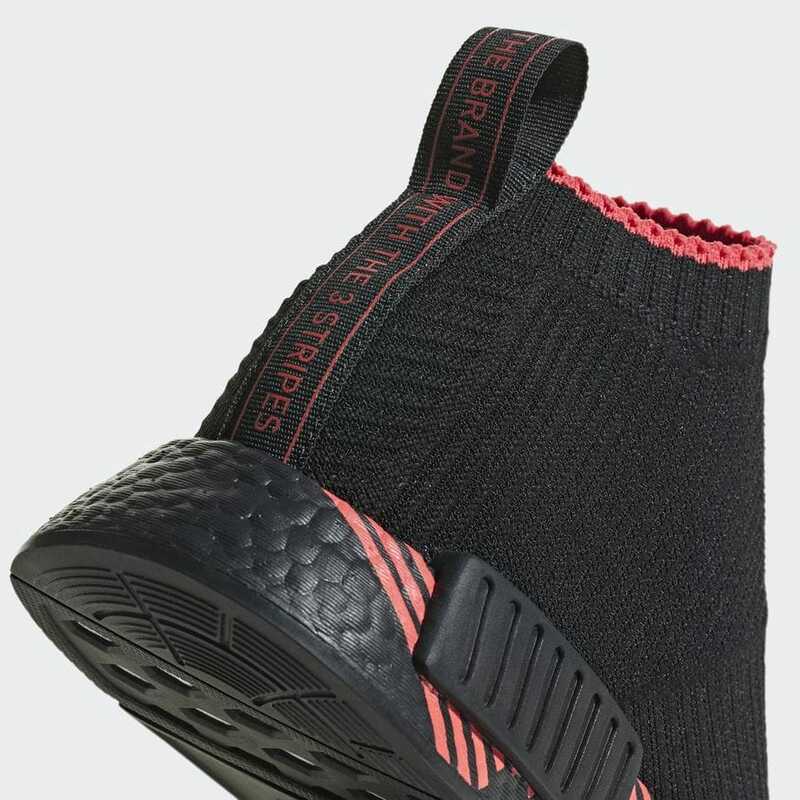 Because of its popularity, the original iteration of the City Sock can be somewhat difficult to find, as pairs are either worn or carry a hefty deadstock price tag. Luckily, adidas is usually happy to give us another shot at the coveted silhouette. This month, we have a first look at a dark new colorway with a bright twist. 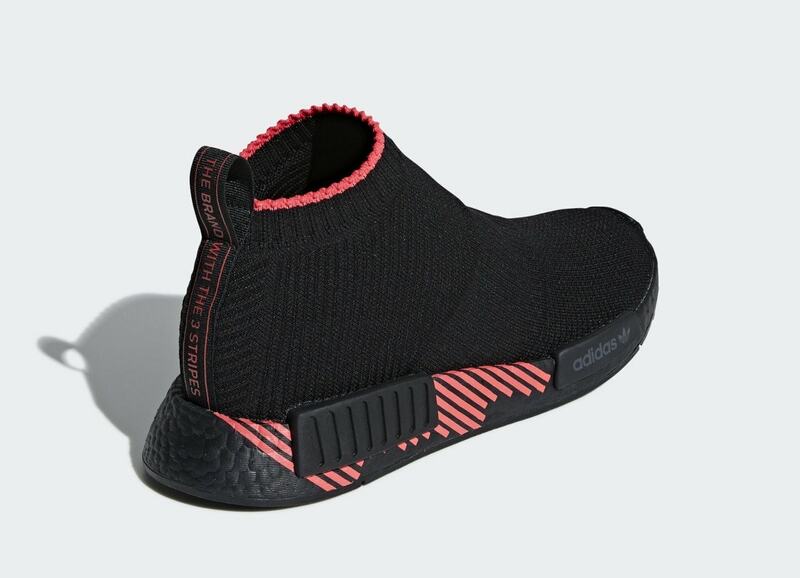 The Primeknit upper on this pair comes in jet black, with a thin line of infrared around the collar, as well as the same vibrant red on the NMD branded pull tab. 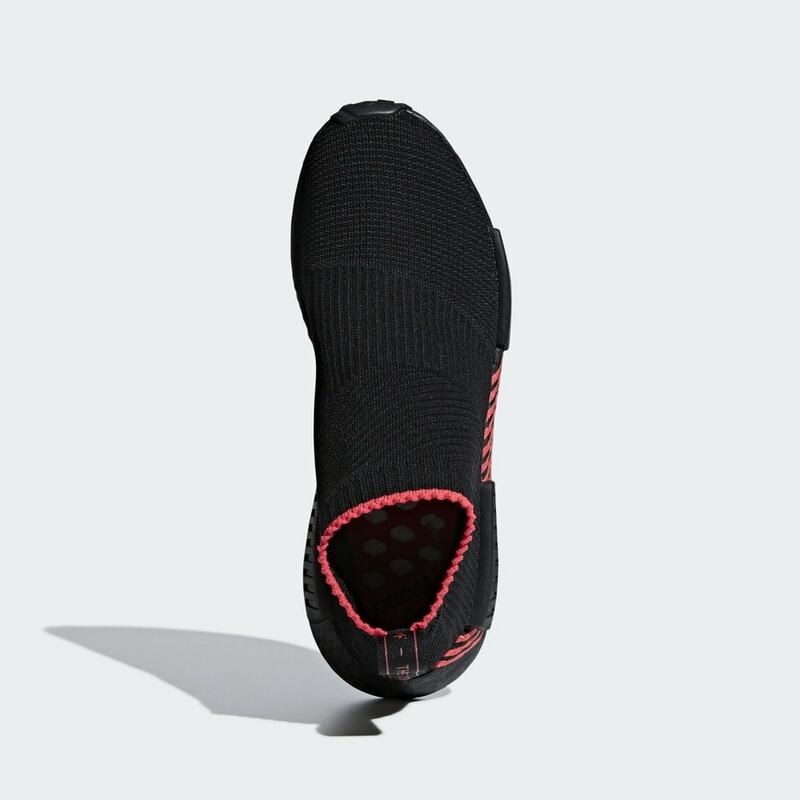 The Boost midsole and standard EVA plugs are painted in black and feature a string of neon red stripes along the lateral side. 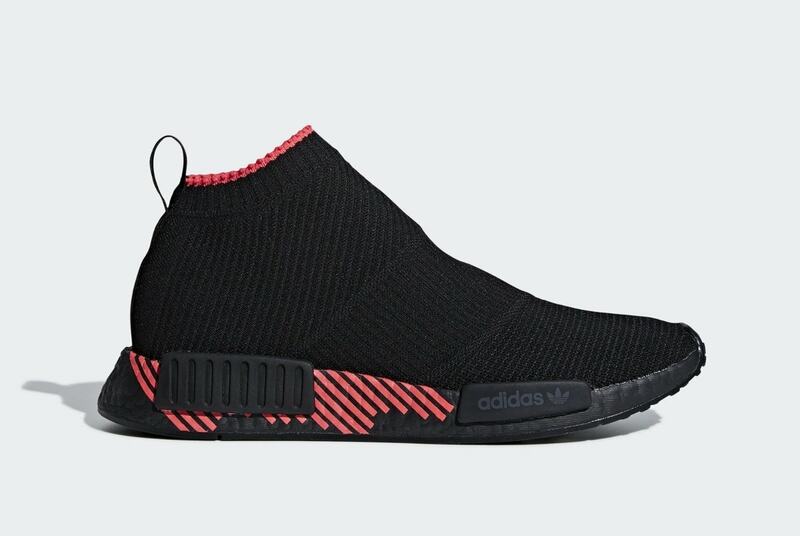 The fiery adidas NMD_CS1 has not yet been announced for release, though they are expected to drop soon. The bold new look will launch from both adidas and select retailers for the standard $180. 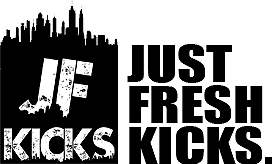 Check out the official images below for a closer look, and stay tuned to JustFreshKicks for more adidas NMD news.